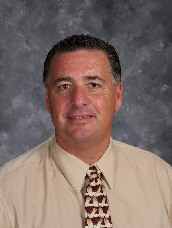 The Indiana Association of School Principals recently named Mark Pearl as Elementary Principal of the Year. Pearl is the Principal at Burnett Creek Elementary in Tippecanoe County and has been for there for 13 years. He began as a fourth grade teacher at Center Grove and worked his way up the administration ladder. "I have always enjoyed being around education area, but I knew I wanted to take part in the bigger picture. The classroom setting was too small for me," said Pearl. In his 29 years as principal, he has implemented many outstanding and creative projects, according to the association. In conjunction with The Greater Lafayette Chamber of Commerce and United Way of Greater Lafayette, Pearl implemented the "Read to Succeed" program in the 2010-2011 school year. It encourages businesses and organizations to allow employees release time to volunteer weekly in the elementary school to promote reading. "Receiving this award is a humbling experience; this is a reflection of the great people from over the years and at Burnett Creek. We have tremendous teachers, supportive families, and a great community." Pearl graduated with a bachelor degree from Indiana State University in 1980. "ISU was wonderful experience I was involved in many organization, the Blue Beret Choir, Phi Kappa Alpha. This was a great base for an education profession and I have great memories from there," said Pearl. Pearl will represent Indiana for the National Elementary Principal of the Year.